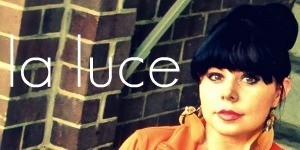 much love, illy: sponsor love + giveaway with La Luce Designs. 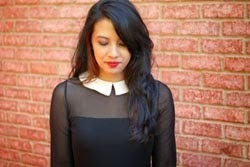 meet ashley of la luce. "Hey, there! My name is Ashley Marie Wilson. I'm a lover of Jesus, a wife, and an artist. Over on La Luce I share my creative inspirations, and my adventures in life. I also design and handmake unique fashion accessories for style lovers, fashionista mama's, babies and brides." my friend ashley is one of the sweetest ladies that i know out there in blog world - and her work (from photography to her handmade business) absolutely stunning. i am especially a fan of her blog project, GiveLove365, where she encourages readers to change the world one step at a time with the daily opportunities we can be on the lookout for. and today, she is continues to spread the love by giving away $25 La Luce Designs shop credit! each of the pieces are so details and sophisticated, whoever wins will have a hard time choose just one! i especially love this cutie. visit LaLuce Designs and comment below with your favorite item in the shop! use coupon code LALUCE15 at shop checkout to get 15% off of your whole awesome order! Giveaway is open to ALL Much Love, illy readers thru Tuesday October 11th. Winner will be announced on Wednesday, October 12th. Love love "The Charlie" in her shop! Cute! Her stuff is so pretty. I love The Rosemarie. I love the Jayda necklace! Such pretty things! I love The Victorias earrings. such sweet details to those headbands!! i <3 la luce on etsy! I like The Katalina, the colors are really striking. I hearted La Luce on etsy! I love the Harlow!! The zipper design is so nice. i love the victoria earrings! It was difficult to choose! I followin you on Tweeter! i <3 the Rosemarie necklace! umm can I just have the shop? No seriously. I love everything in it! But The Brooklyn...oh gosh. It's beautiful! I 'hearted' La Luce Designs via etsy. I'm a GFC follower of this blog. I liked the ML, I FB page. I love "The Dakota." Her shop is fabulous!! And... 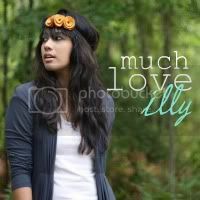 I "liked" Much Love, illy on Facebook! i now follow you via gfc! LOVE the Sophia!! it's soo classic and darling!!! i stalk you on twitta, oh yea!! i spread the word by tweeting!! I love the harlow headband, I usually find headbands difficult to wear, but this one would look gorgeous and I would feel great wearing it! Going to follow you on twitter and Facebook now. She's so talented~ I'm loving the Celena ring. And and and I publicly follow Much Love, Illy! I really really really like The Cassie. It's so pretty! the fiona ring is pretty cute!!! following Ashley's blog on GFC! I love the Harlow headband! I added La Luce designs to my favorites on Etsy. Love The Cassie very much! i love the harlow piece from la luce! i am a gfc follower of your blog~love it! i am a gfc follower of ashleys blog. i tweeted! i hope i win! I am in love with the Harlow!